This week the nation’s capital hosted the top players from around the country for the 2018 All-Star game. 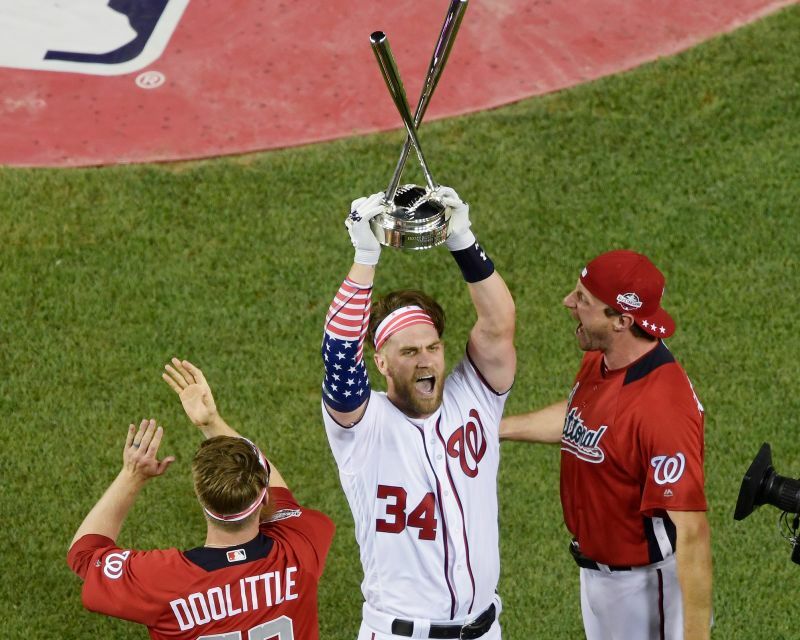 The week kicked off with the 2018 Home Run Derby featuring eight hitters, including Phillies left-fielder Rhys Hoskins and hometown favorite Bryce Harper. 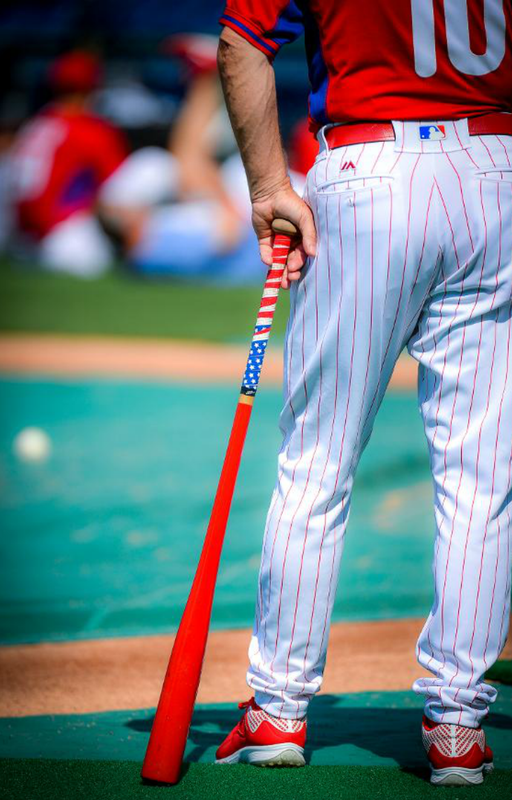 “I grew up watching the Home Run Derby as a kid, so I think that full circle kind of moment is pretty cool,” Hoskins said before the competition. Hoskins sailed through the first round but came up short in the semifinals against Cubs’ outfielder Kyle Schwarber who went on to face Bryce Harper in the finals. Harper sent 19 homers flying in the final round to triumph over Schwarber and walk away with the trophy. While Harper hit more homers when it counted, Schwarber hit 55 homers during the derby, more than any other player this year and the second most in derby history, with the record being 61 set by Giancarlo Stanton in 2016. Storms threatened the Midsummer Classic Tuesday night, but the skilled groundskeepers at the National Stadium had the field ready by game time. After the national anthem played, players met and thanked 29 Medal of Honor recipients before the game began. 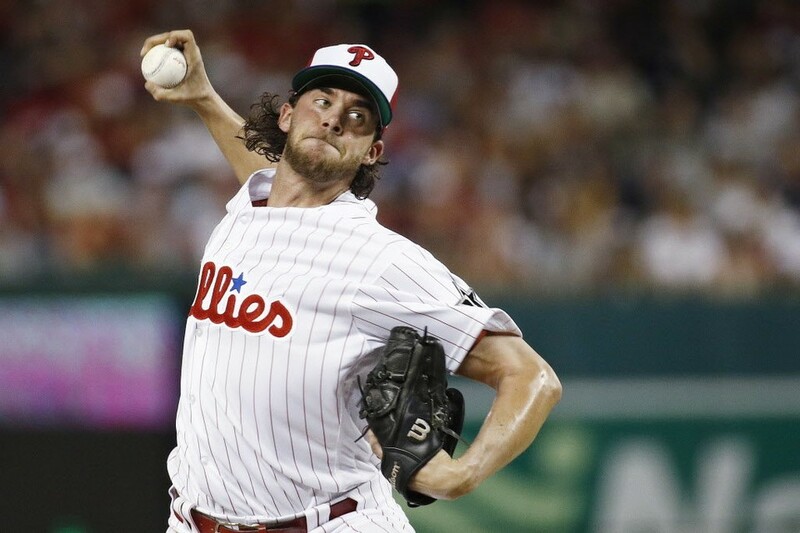 Pitcher Aaron Nola did Philadelphia proud by pitching a scoreless inning against top American League hitters. As one of the youngest Phillies pitchers in 50 years to make an All-Star debut, Nola’s 96 mph fastballs proved a formidable test for some of the AL’s best players, including Mookie Betts. Betts has only struck out 42 times this year out of 355 plate appearances, but Nola took him down with ease. The AL led 5-3 in the ninth inning when Reds second baseman Scooter Gennett hit a home run to tie the game, forcing extra innings. Teammates Alex Bregman and George Springer, from Houston’s Astros, hit back-to-back homers in the top of the 10th inning securing the sixth victory in six years for the American League. The National League will get the chance to even the scales on July 9, 2019 at Progressive Field in Cleveland.The Midsummer Classic returns to Cleveland after more than two decades and will be the first one played under the stadium’s new name. It was recently announced that six-time all-star reliever Francisco Rodriguez, also known as K-Rod, agreed to a minor league contract with the Philadelphia Phillies. He will also participate in major league spring training. The 35-year-old pitcher will receive a $2.5 million base salary if added to the 40-man roster and has a chance to make $1.25 million in incentives. Last year, Rodriguez started off as the Detroit Tigers’ closer but quickly lost the role at the beginning of the season. Throughout his 25-inning appearances, he struck out 23 batters while issuing 11 walks and finished the year 2-5 with a 7.82 ERA and a 1.658 WHiP. After his release from the Tigers, he signed with the Washington Nationals, but was released in June after subpar minor-league outings. The Phillies are his sixth team move in 17 seasons. Rodriguez ranks fourth on the career list with 437 saves and set the single-season record of 62 for the Los Angeles Angels in 2008. He has a 2.86 career ERA in 948 games with 1,142 strikeouts in 976 innings. Even though the Phillies did not end 2017 with a winning season, the bullpen was one of its strengths, coming in at 14th in the league, and the addition of Rodriguez looks to be optimistic. The Philadelphia Phillies took a recent visit to Nemours Alfred I. duPont Hospital for Children. The Phillie Phanatic, accompanied by Phillies team members, played games and participated in different activities with the patients and their families during a fun-filled day that included lunch from Papa John’s. Phillies Charities, the fundraising arm of the Phillies, gave more than $1.2 million to various charitable organizations in Pennsylvania, New Jersey, and Delaware in 2017. 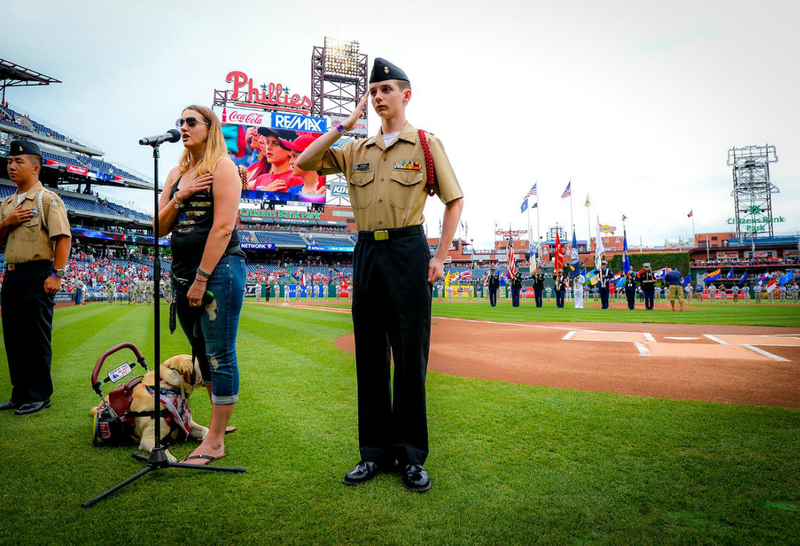 Other charitable organizations the Phillies have donated to include the ALS Association, The Pennsylvania SPCA (PSPCA), American Heart Association, Muscular Dystrophy Association, and Philadelphia READS, among dozens others. The Phillies celebrated their 2017 season and the end of the year with a series of Phillies Holiday Fan Events throughout the month of December. 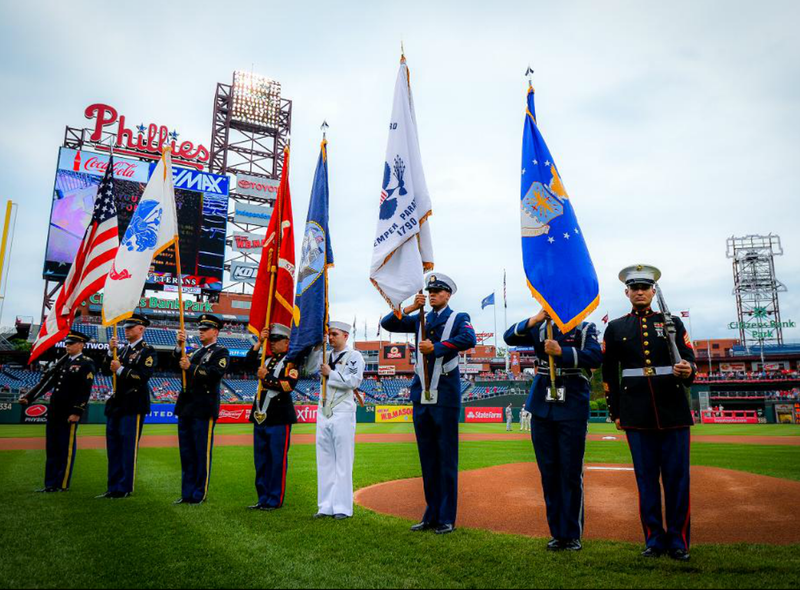 The team and its leadership showed appreciation for fans with several family-friendly events at Citizens Bank Park, and special holiday promotions on Phillies gifts and gear. The holiday season kicked off on December 2nd with the Phillies Holiday Sale and Tree Lighting at Citizens Bank Park. Phillies fans of all ages were joined by special guests Gabe Kapler, Rhys Hoskins and J.P. Crawford for an event-filled day. Activities included holiday photos with “Phanta Claus”, book signings, and a meet and greet with Phillies broadcasters. The event also featured shopping, with Phillies Charities selling signed memorabilia and game-used items for fans’ holiday wish lists. After dark, attendees gathered to light up the park for the holiday tree and ballpark lighting. The event was led by Phillies manager Charlie Manuel, the Phillie Phanatic and right-hander Vance Worley. Holiday festivities continued with the “Phillies 12 Days of Christmas” shopping event starting on December 13th and continuing through Christmas Eve. For each of the 12 days, fans could take advantage of daily promotions and specials on Phillies merchandise as well as exclusive Phillies experiences like free tours of the Phillies Clubhouse. John Powers Middleton is a Phillies partner. He and his mother, Leigh Middleton, and father, Phillies Managing Partner John S. Middleton, celebrated 2017 at the Phillies Holiday Party at Citizens Bank Park. Last week, the Phillies traded catcher Carlos Ruiz to the Los Angeles Dodgers. Ruiz was traded for Dodger’s catcher A.J. Ellis. His departure was an emotional one for his Phillies teammates and fans. “Chooch” was a respected member of the team and considered a leader within the Phillies family. Chooch joined the Phillies as an amateur free agent in 1998 at the age of 19. In 2007, he was promoted to the majors and was part of the team during the Phillies’ 2008 World Series victory.